Eagle Thunder Records presents the 25th ANNIVERSARY of Robby Romero’s groundbreaking and critically acclaimed EP RED THUNDER — spotlighting the new track, BORN ON THE REZ, produced by four time Grammy Award winning musician, record producer, and record executive, Don Was. 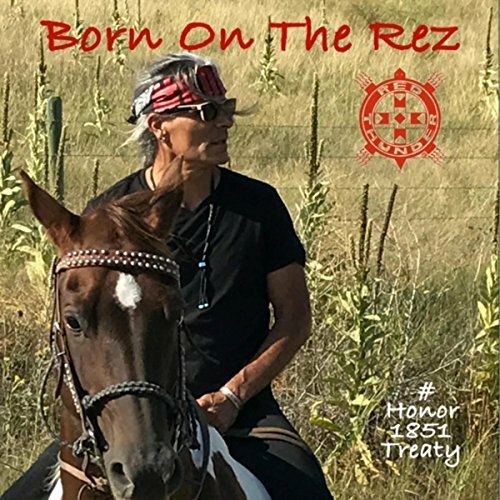 The new track, BORN ON THE REZ commemorates the RED THUNDER 25th ANNIVERSARY release, featuring American Indian Movement leader, Dennis Banks and three time Grammy Award winner, Golden Globe winner and Country Music Hall of Fame inductee Kris Kristofferson. ROBBY ROMERO | RED THUNDER 25th ANNIVERSARY comprises remastered original recordings, HEARTBEAT NAAKI (a second version of Robby’s Indian Country hit single, HEARTBEAT remixed by Grammy Award winning musician, producer, and engineer, Steve Addabbo (with Al Kooper on piano, Ataahua PaPa and Dakota Romero on backing vocals), and Robby’s American Indian stereotype-breaking PSA that won the CableAce Award as part of MTV’s ‘Free Your Mind’ campaign. BORN ON THE REZ was recorded at Capitol Records Studios, Hollywood, CA, with three-time Grammy Award winning music engineer, Ed Cherney. The track was mixed by Grammy Award winner Steve Addabbo at Shelter Island Sound, New York City, mastered at by two-time Grammy winner Steve Fallone at Sterling Sound, New York City, and executive produced by Laila Nabulsi and Dennis Banks. Red Thunder lineup celebrates legendary session musicians Jim Cox (piano/vocals), Jim Keltner (drums/rattles/vocals), Danny “Kooch” Kortchmar, (guitar/vocals), and Don Was, (upright bass/vocals). The Water Protector chorus highlights singer/songwriters Victoria Asher, Ta'kaiya Blaney, Tina Malia, Bob Neuwirth, Dakota Romero, Chris Stills, Kholan Studi, Jimmy Lee Young, and Raye Zaragoza, with special guest Frances Fisher. The original tracks on the 25th ANNIVERSARY release were produced by Stephen Croes, Rob Fraboni, and Robby Romero at The Complex, Los Angeles, CA, and Bearsville Studios, Bearsville, NY. Musicians include Benito Concha on traditional drums/vocals, Mazatl Galindo on traditional flutes/percussions/vocals, Charles Gasper and Paul Martinez on acoustic bass/vocals, Robby Romero on vocals/acoustic guitars/pueblo drums & rattles, with vocal appearances by Richard Moves Camp and Curtis Milk.